It bears witness to the depth and breadth of life, and is a reflection of and testament to the human spirit in the midst and aftermath of both blissful ecstasy and traumatic loss. Visit www.yasminsayyed.com for a peek inside. This visual poetic masterpiece includes 175 pages with 66 full color paintings, poetry and stories regarding art and the development of consciousness. Pre-ordered books will be signed and inscribed. Creating this book is an attempt to chronicalize my artistic journey from a heeding of internal calls towards an expansiveness of consciousness and commitment. Viewed are sixty-five annotated images arranged in thematic categories of the awakening, journeying, and embracing of life. It is my hope that my work delights the senses and inspires the soul. 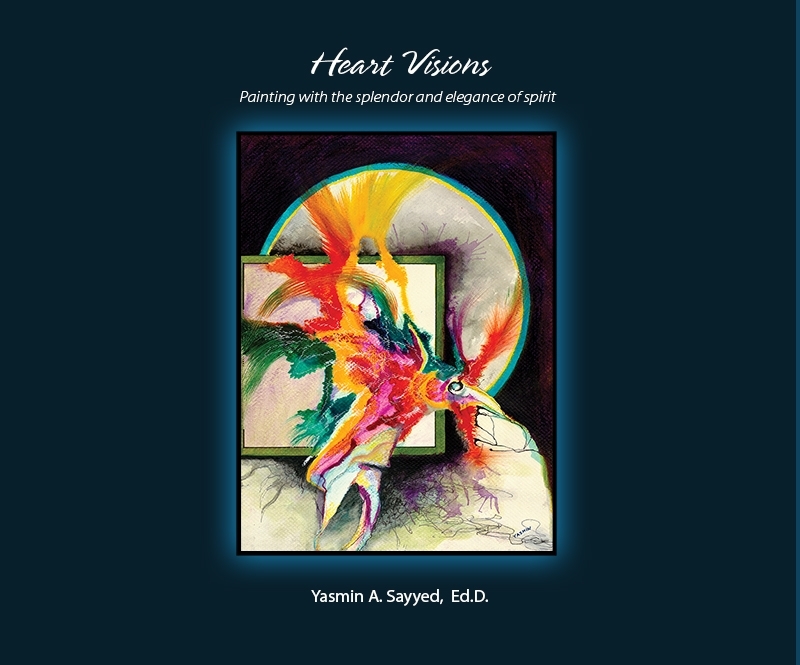 Order her book and learn more about the artist and the professor, Yasmin A. Sayyed, Ed.D, at www.yasminsayyed.com, where she lets Spirit Guide the Paint.